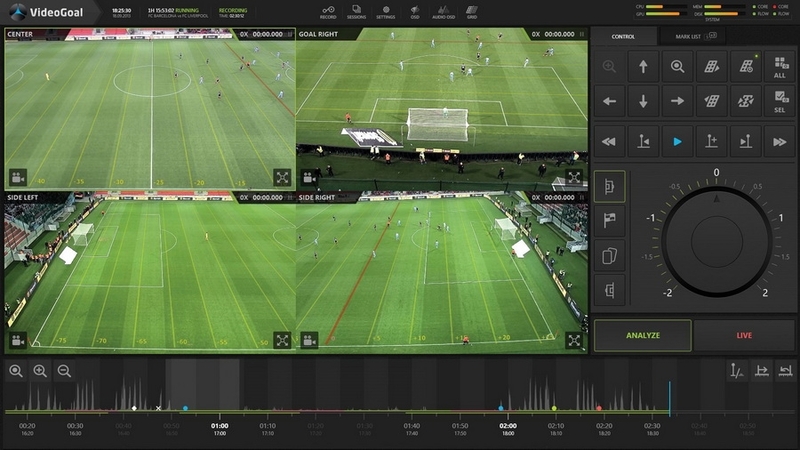 Colosseo’s Video Assistant Referee (VAR), a new member of the Colosseo Enterprise product family of professional level products for major venues, is a video analytics platform that was specifically developed for football game analysis, taking into consideration all current pilot requirements for the FIFA VAR project and much more. The solution works with up to 24 live camera feeds – IP, HD, SDI or even 4k cameras and provides full field coverage to ensure that each moment is recorded for future analysis. Customizable viewpoint allows the operator to create custom presets from selected camera feeds to monitor desired pitch location and can easily be switched with the press of one button to another predefined focused on area of the pitch. 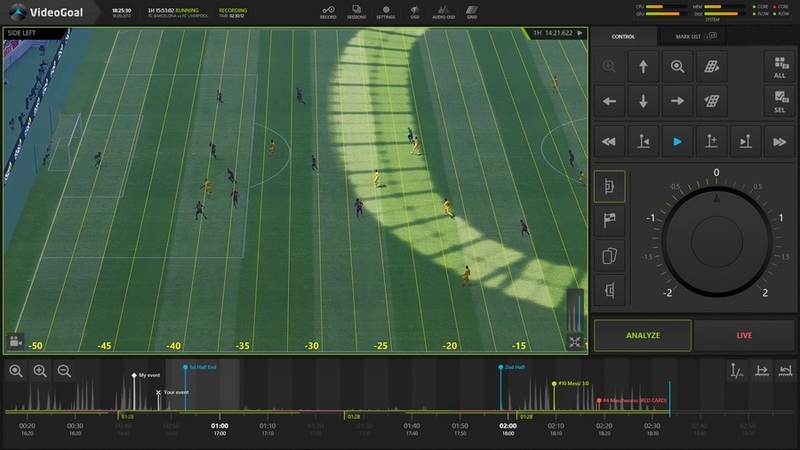 In the Analysis mode, the operator has available strong analytical tools like deep frame-by-frame HD analysis with all cameras synchronously zoomed during forth or rewind, or with an option to define different zoom factors for every camera angle – all supported with an easy to use HW controller for better judging and control convenience. The key feature is the advanced 3D measurement system for real world dimension analyses (e.g. off-side analysis) using virtual calibrated lines representing real world dimensions with accurate player and ball position including technology that compensates camera lens deformations, so the referees are provided with the most realistic and precise analyzed output to make the correct judgment. Important moments are marked on the Interactive Timeline for visual representation of game time with automatic or manual marks for easy searching. The system also features the unique, Colosseo developed Referee Whistle Recognition System (RWRS), a multilevel frequency analysis of the referee’s whistle with automated camera stop for immediate analysis without the need to rewind cameras and automated mark creation on the aforementioned Interactive Timeline. 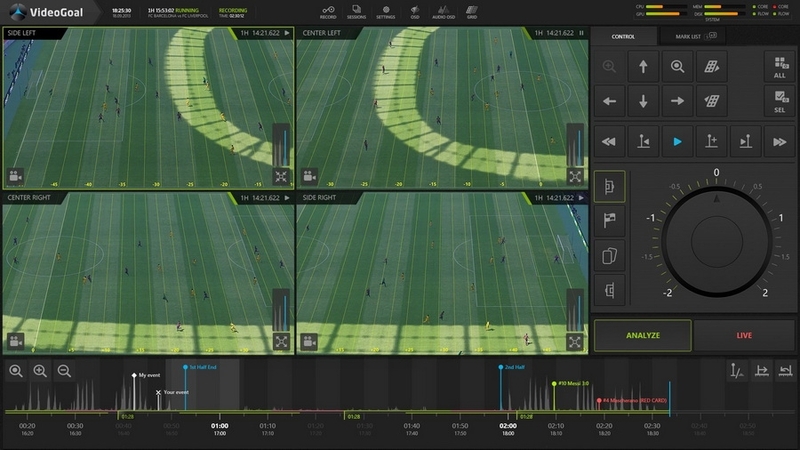 Referees on the pitch can see analyzed outputs on the Portable Referee Station, a wireless display device connected to the main VAR workstation throughout the Wi-Fi network and locatedk pitch side for easy referee access and convenience. Colosseo VAR has a multi-language support and is unicode.